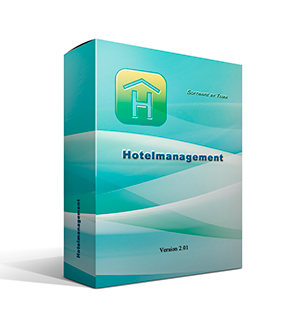 The program “Hotel management” gives you an opportunity to optimize and simplify the work in the area of hotel business. The program is suitable for work in any scale, both in small vocation hotels and in huge hotel resorts. 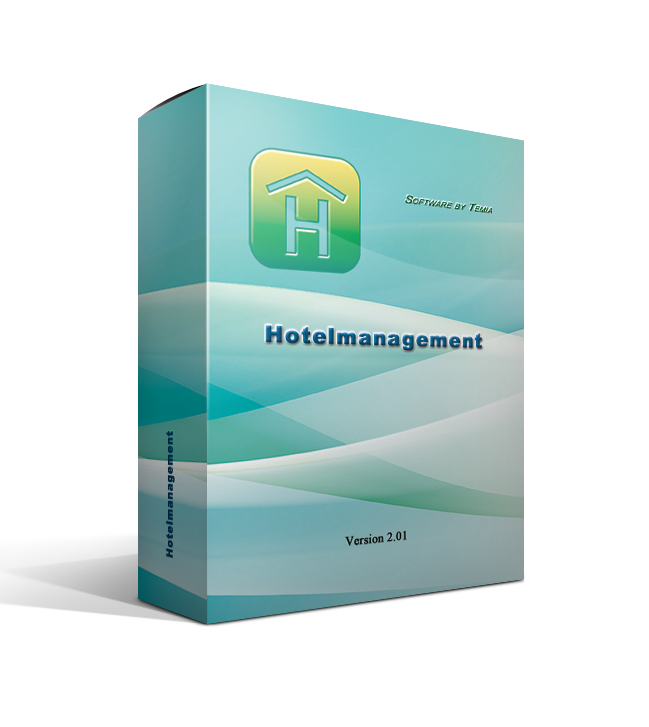 It can help you to manage the system of vacant rooms in your hotel, to maintain the database of your clients, to have a possibility to keep all the information regarding bookings, and also to make out bills for overnight and extra services such as parking, breakfast or tourists tax. The program has the option to display graphically all the rooms and also to look through all the bookings in the form of table. If you need you can easily add, change and remove any information. There is a possibility to split up all the rooms by categories in the program; herewith each room corresponds to one category. The program can give you some categories as an illustration of the function. 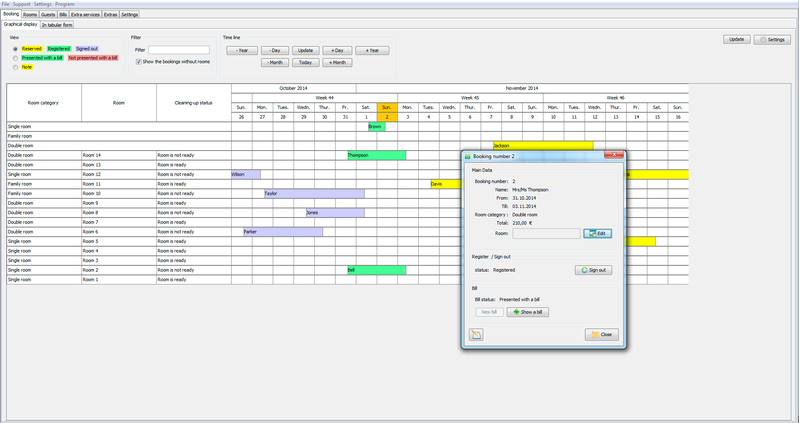 In addition all room categories can be easily defined and completed by the user. Each room can apply any properties such as room area/square, air-conditioner availability, etc. The program provides you guests catalogue. Any guest who was once entered will be automatically saved in the system, next time when it is necessary he/she can be easily selected from the list. You can enter the general information regarding any guest such as his/her name, date of birth, and also add extra information such as language, country, unlimited number of addresses and other contact information, as well as photos and other information. For each guest you can indicate one rate. In case if the rate is not indicated the rate by default will be assigned. The program gives you an opportunity to conduct flexible price system, that is to assign the price for individual rates and categories within the specified period of time. For example, the price of rooms can be increased in special time for the period of exhibitions. Such extra price can be defined annually as well as for special days. In this manner the price of the room is calculated in the program depending on the chosen rate, room category and the date of arrival and departure. Each rate defines the price for each room category. Additionally it is possible to set some services into the rate and also to follow graphically price changing of specified room within a year. If the price of a category is not indicated in the rate, for this category within the specified rate the reference price is valid. Final price of the room depends on the rate and category. However it is possible to change the rate while creating the reservation manually, and also the user can change the final price for the room during the time of the bill creation. Booking status can be easily identified by colour. Hereby you can have an easy way to observe the reservations, occupied and free rooms. Visually it is also possible to “settle” the guests into the room – to assign to the reservations correspondent room category. The program has a special function – checking the cleaning-up status of the room. In such a manner after departure of the guest the cleaning status of the room is automatically changed. It is easy to create the bills for overnights in the program and also to create extra services. Every bill can have different VAT rates. 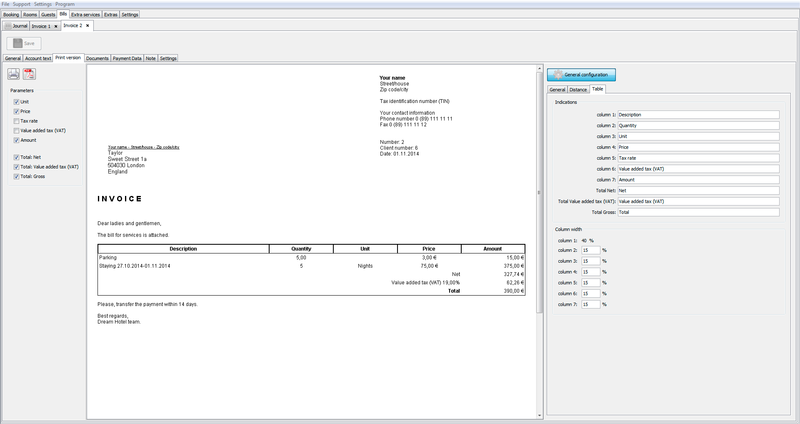 It is easy to add some reservations into one bill. 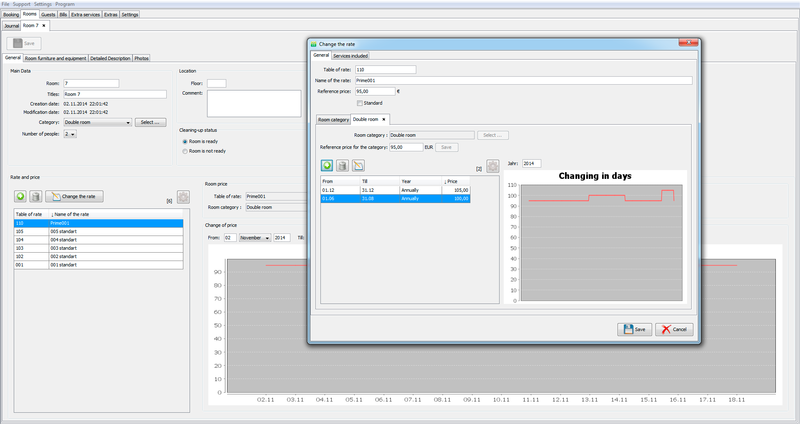 While creating bills the user has full control: he can change prices, add discounts and so on. 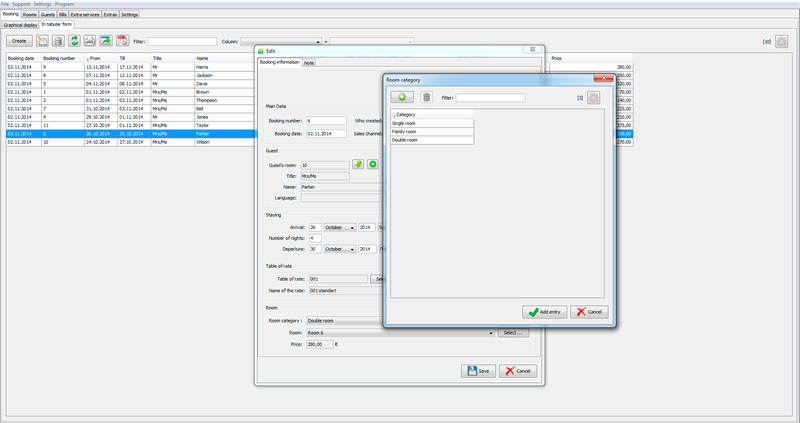 The user can make a bill easily in the settings: it is possible to add header and logo, to set the parameters of displaying such as the distance between elements or the width of the columns. Every bill can be saved in PDF format or printed. When you starting up the program for the first time, the assistant starts up automatically. The assistant helps you to set reference settings for bills. 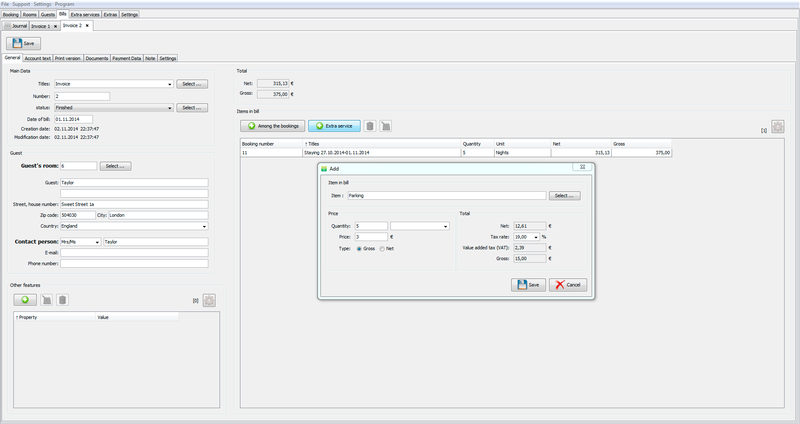 The program has back-up function to store your information and documentation in safety condition.